Cleveland State University Poetry Center, 9781880834930, 72pp. Poetry. African American Studies. 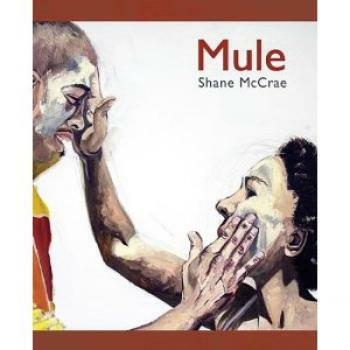 MULE is highly lyrical, obsessively incantatory, audaciously formal, and actually a very personal, very autobiographical book. In it, the author addresses his at the time failing second marriage (which he is no longer in), his son's autism, his own racial identity, and some of his beliefs about God. "Some books come down like gods dying to transform us out of our empty, shattered lives. MULE is such a book. Never shying away from sudden confusions of pain and beauty, Shane McCrae's questions are not why so much pain? why so much beauty? but, instead, how can they remake us? McCrae's is a living, breathing poetry made of wisdom and wrenching song." Katie Ford.